The opportunity to learn culture is one of the things that I enjoy most about living a new language. Living abroad provides a rich canvass of cultural cues, idiosyncrasies, and ways. I highlight ways because it is a term my family has coined to refer to the ways that people do things. The ways are sort of like rules for living, but they are not The Ruleswritten, measurable rules about doing things, they are just the ways that people do things. Let me give you an example, when I got married, I discovered that I had some definite ways of doing things. 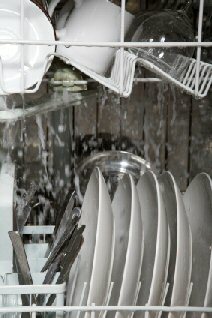 Dishes, for example are always loaded into the dishwasher with the plates and bowls parallel to each other. My husband, on the other hand, had a different way of loading the dishwasher. Rather, he had many ways of loading it. The thing that I noticed most was that the plates were often at right or other angles to each other. This was a new way of doing things. The Walkabout method gives you many opportunities to learn culture and to adopt new ways of doing things. You rely on the environment as your classroom, which will yield more than language skill. Cultural learning will be a bonus that could exceed your language accomplishments and help you grow. You will learn about values, institutions, and different perspectives of the new culture. As you learn your target language, watch for and capture cultural learning opportunities. Click here to learn about fika, an example of how Language and Culture intertwine. Click here to learn the five-step Daily Learning Cycle. A Senegalese poet said 'In the end we will conserve only what we love. We love only what we understand, and we will understand only what we are taught.' We must learn about other cultures in order to understand, in order to love, and in order to preserve our common world heritage."